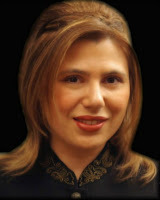 Jack Le Moine's Blog: Polgar to Resign If . . .
Polgar to Resign If . . . In a dramatic challenge to President Goichberg and the rest of her opponents, Susan Polgar offered to resign from the USCF Executive Board Monday provided they (1) "give me the FULL CONSENT to release all information to ALL USCF members" and (2) " If I cannot prove what I said is true then I will resign immediately. "The other half of the challenge: "However, if I can prove that what I said is true then President Goichberg would resign from the board immediately." Read the thread for the "what I said" part. These statements contain significant revelations. Polgar has been complaining for months that she possesses major information that she is unable to disclose to the public only because of Board confidentiality requirements. On the other hand, she has also stated in the past that she has had to withhold information on the advice of her lawyer, so the stonewalling cannot be laid entirely at Bill Goichberg's door. The gist of Polgar's point is that if the information were revealed, then people could see that it was her side that was trying to get the truth out about the scandal and the other side that was not. If this point were to be proved, this would still not prove Truong's innocence as the fake Sam Sloan. However, it would definetely target the finger of suspicion to other directions. These statements also affects the recall effort on Paul Truong. It is based on "breach of fiduciary duty" - he allegedly failed to disclose information to the USCF attorney defending the organization against Sloan's lawsuit. If, in fact, other Board Members and staff were leaking information to Sloan, then this disclosure would certainly trump the Truong issue. Failure to disclose needed information versus providing confidential information to legal adversaries. The most significant part of these developments is that far from relying on "reasonable doubt" and such-like escapes, Polgar has boldly assumed the burden of proof on several key aspects of the simmering scandal. How Does USCF Membership Accounting Work?